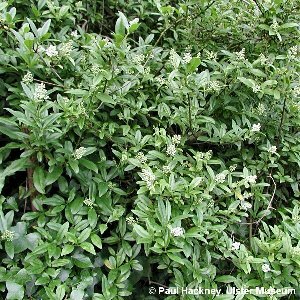 Privet is an introduced species in Northern Ireland, almost entirely confined to planted field hedgerows in which it grows as an untidy straggling bush. 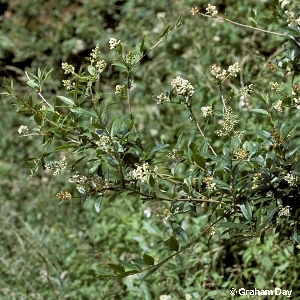 It has panicles of small white flowers and produces abundant black fruits in autumn. 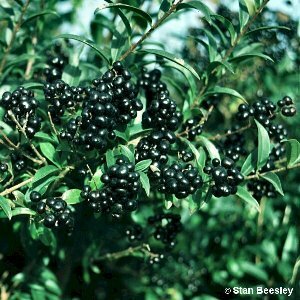 All names: Ligustrum vulgare L.